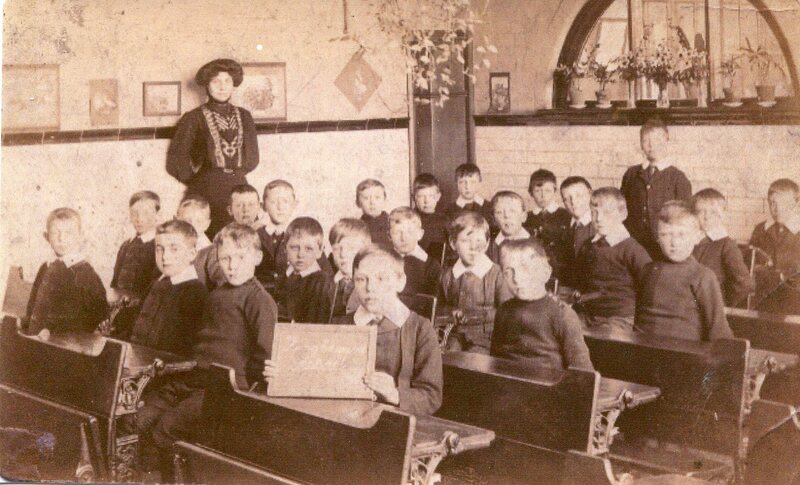 This photograph of young boys with their teacher Miss Richardson has so much of interest. Look at the style of clothes, the desks and seats and would you dare answer Miss Richardson back? The name of each person has been written down with (in some cases) a little added information such as there eventual occupation or date of death. 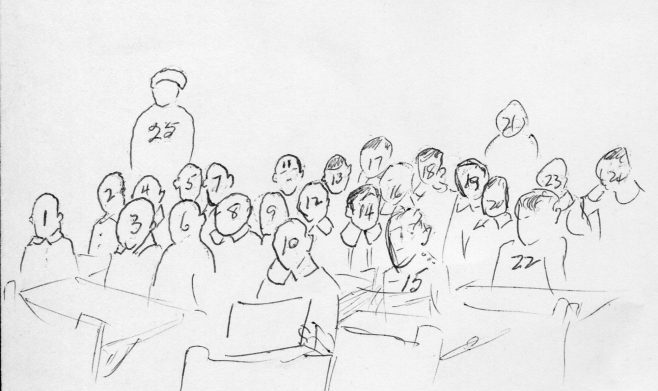 2 Percy Riley, 3 William Shelton, 4 Reginald Pothecary - Master Printer, 5 Horace Wakelin, 6 Harold P Conway – Headmaster, 7 Sidney Lamb – Engine Driver, 8 Percy Heath – Miner, 9 John Davies, 10 Leonard Ilett, 11 W A Blackwell, 12 George Alfred Jennings – Railway Clerk, 13 Arthur Lowe, 14 Horace Place – Died 1970, 15 Alban Vickers (Known as Redfern) - Engine Driver, 16 Frank Thomas, 17 Leslie Teare, 18 C Thomas Allison – Died in Australia 1969, 19 Fred Blackburn, 20 Ewart Kirk, 21 Albert Oscroft – Dustbin Emptier - Died 1970, 22 Bertie Sharman, 23 Arthur Howarth – Master Plumber, 24 Harry Bowman, 25 Miss Richardson.